Had it not been for the freezing Winter, I wouldn’t have enjoyed soups. In Winter, on a lazy cold day I love to sip a warm delicious soup and cuddle up in the couch watching my favorite TV shows. I had a long day today so making a hearty soup was the only choice I had. 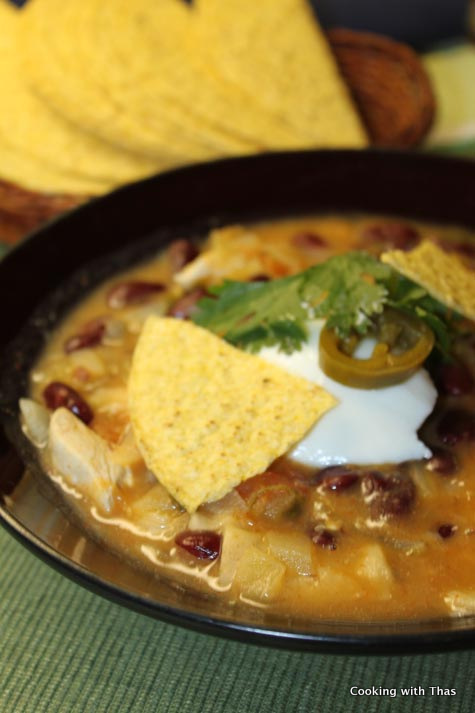 I love Mexican cuisine and this Mexican style soup with tortilla and chicken couldn’t get any better. 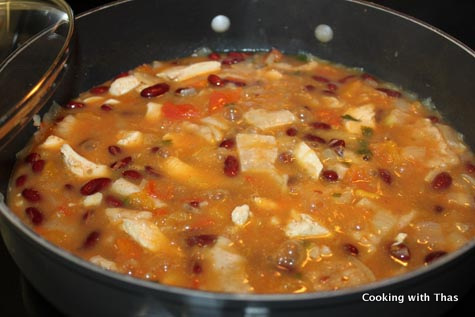 One large bowl of this soup made me feel so good, it’s hearty and the taste lingers to your mouth for a long time. Place a large soup pot or wide pan over medium heat. Add oil and add tortilla slices, saute till they turn crispy. Add onion, sprinkle a dash of salt, saute till translucent. 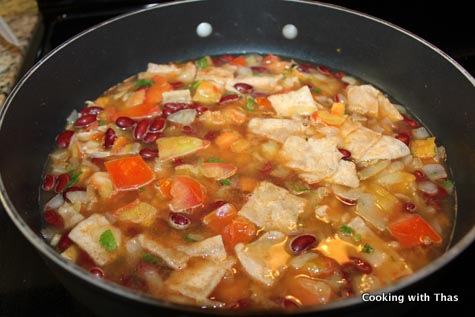 Add cilantro and canned red kidney beans, saute for a few minutes. Add ground cumin and chili powder, combine well. Add chicken stock, let come to a slight boil. Add the diced chicken breasts. Cover and cook till the chicken has cooked through. Add corn starch dissolved in water to the soup, combine well till it thickens. 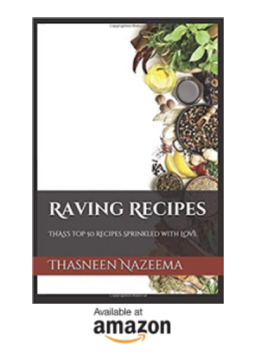 Remove the pan from the stove and ladle the soup into bowls. 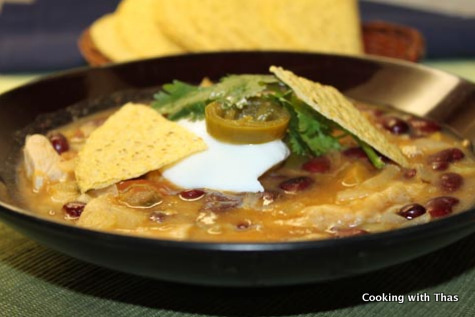 Garnish the soup with jalapenos, cilantro, red onion, sour cream and tortilla chips.